I am trying to create a roof deck that slopes to drain in the middle, but I am having issues with the point by point elevation change in the floor slab. At first it seems to work, but there are some weird triangulated surface that is not supposed to be there, and I cannot delete the point without messing up the entire slope. Isnt there an easier way to do this, just specifying the slope and the lowest point, without having to specify every single points?? Or else I should give up trying to model it in section n just fake the slope. Any suggestion? Did you try using the "add valleys and ridges by drawing lines...." command instead? It may clean it up for you. It is on the same slab shape options bar as the points. Lizard is write the way you have it drawn using the the cutting tools might simplify it, but it actually looks like it is working correctly. You might try to create a larger roof than the building, with the slope you want and then cut it down to the building shape. Using slope lines instead of points will help some but in most situations I don't thing there is any way to keep from getting at least some unwanted lines. We just use the linework tool to mask out unwanted lines in the view. As HJ says you can certainly paint out the lines in the view but aren't you trying to make a correct model? There will be sloping nailers all around the building unless you have multiple slopes as the program is drawing correctly. 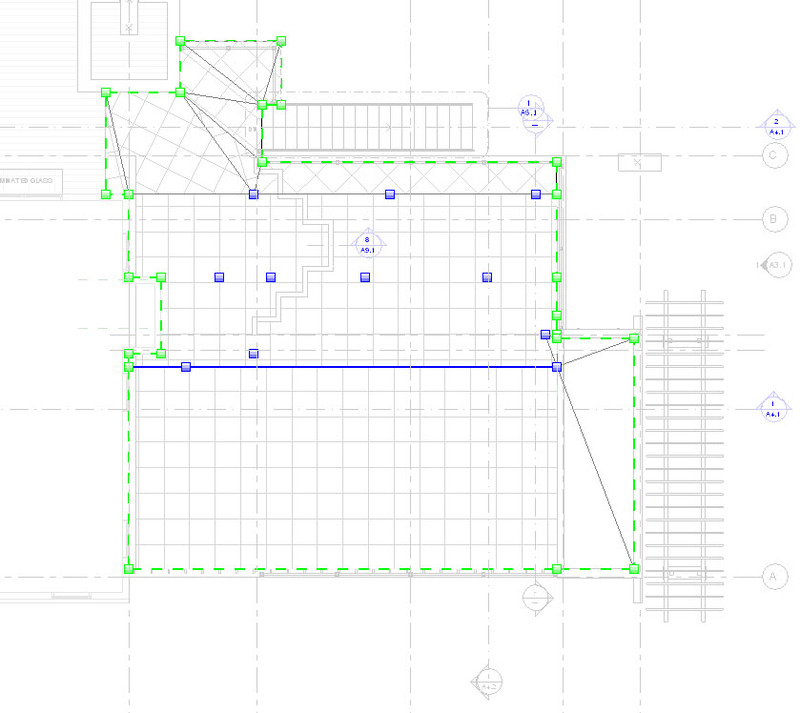 Not a big deal in the planning stages but when the structural wants to realign beams and such to simplify the roof planes you may know why now.